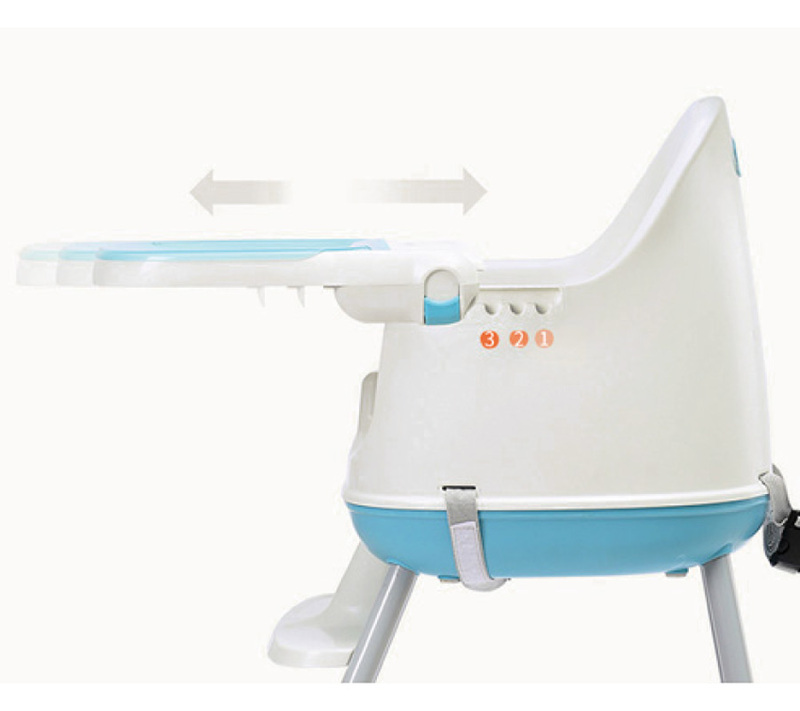 SUITABLE FROM 6 TO 36-48 MONTHS/15 Kg MAX. 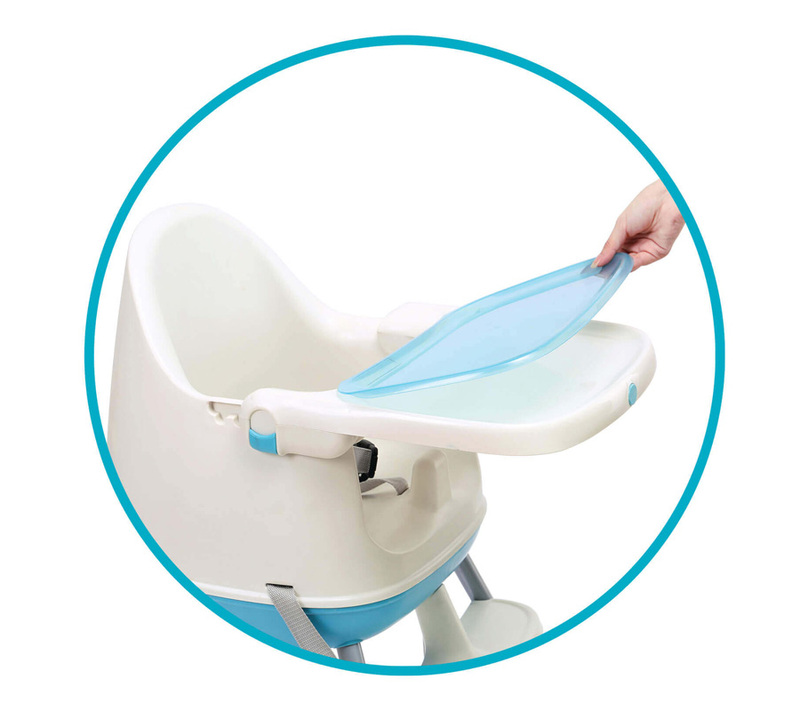 Adjustable tray with removable shelf for easy cleaning. Footrest. Ventral waistband and crotch safety harness. 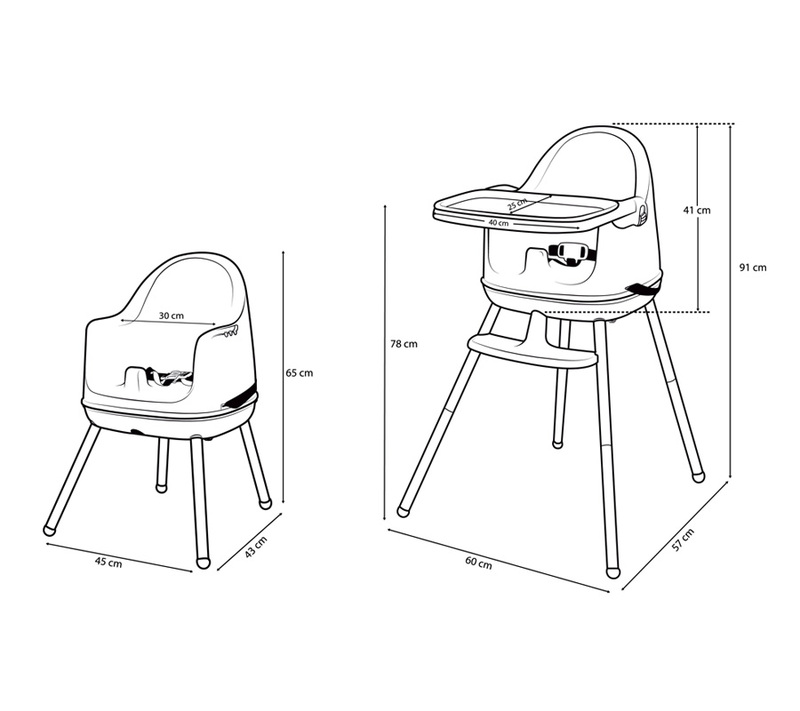 Suitable from 6 to 48 months. 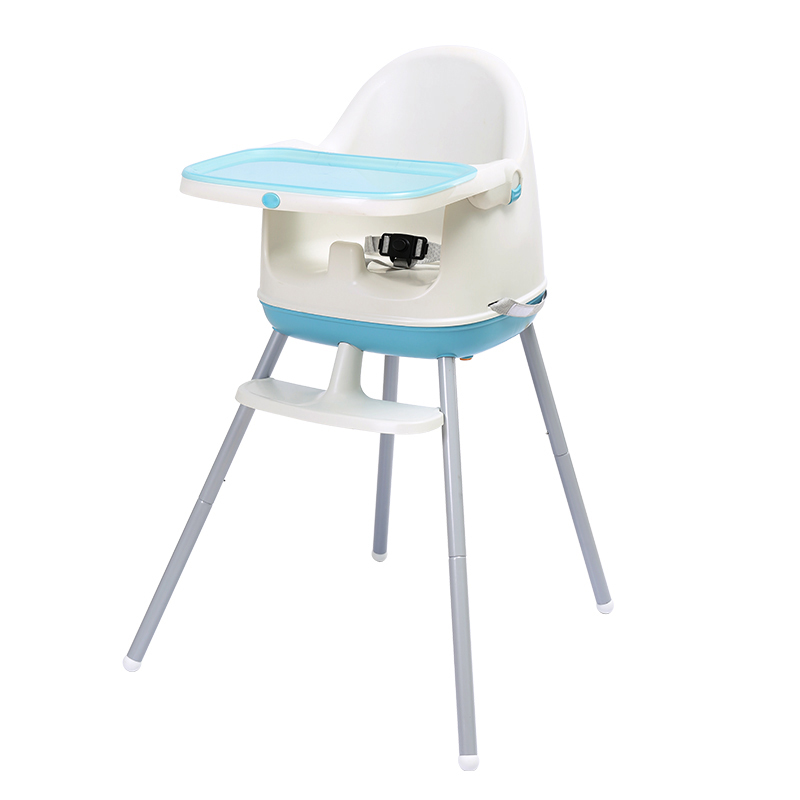 1st use in high chair. 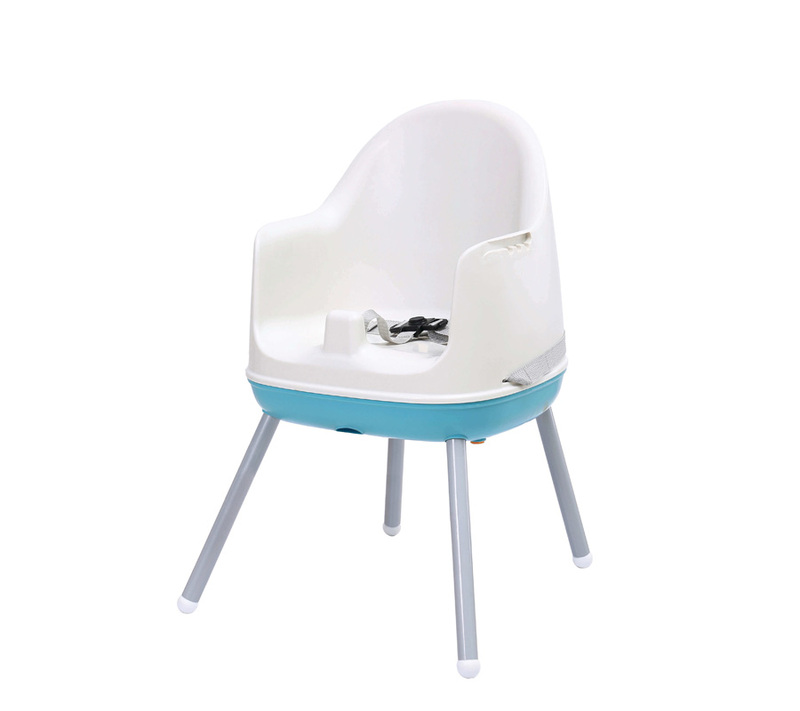 Allows the child to sit at the table with adults. 2nd use in booster seat. 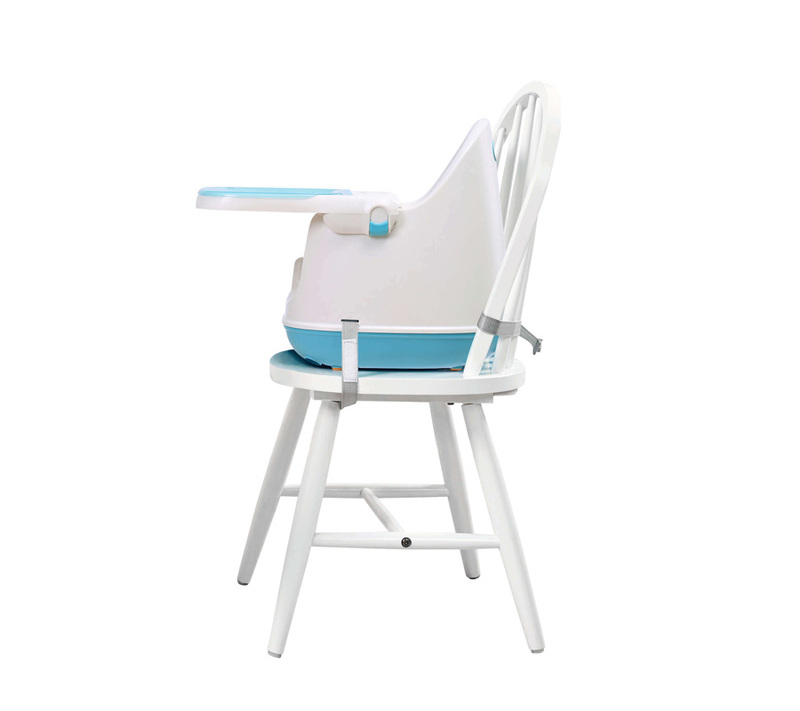 Once the legs of the chair are removed, the straps (backrest and under seat) can be adjusted to an adult chair. 3rd use in a small chair. 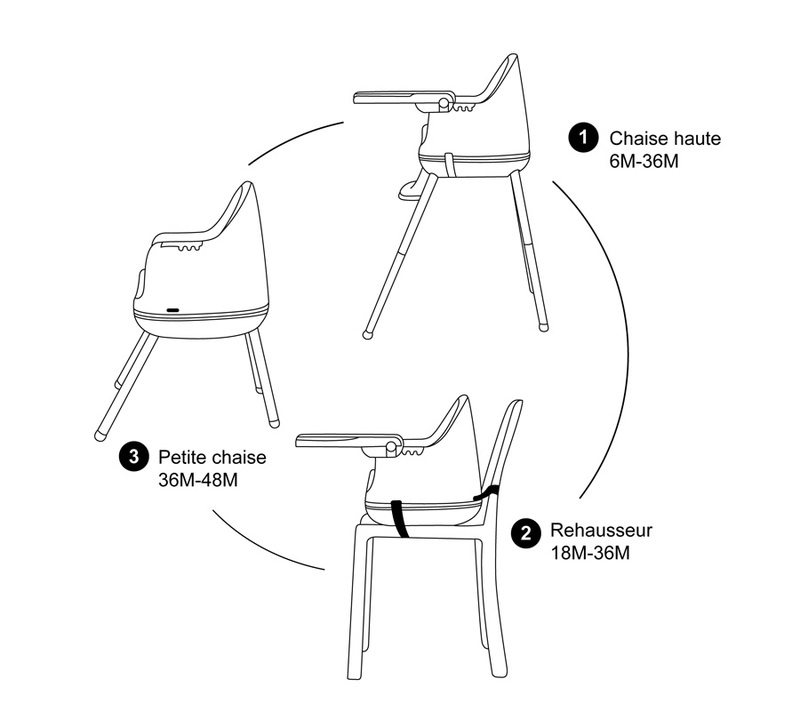 The legs of the chair can be reduced by half, for a seat adapted to a coffee table.